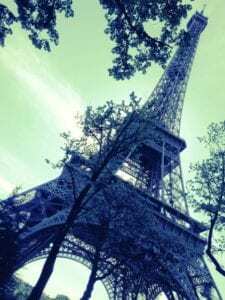 Unfortunately, this whirlwind European Grand Tour of some of the continent’s major cities demonstrates what is wrong with many of America’s tourists. They are often traveling to “notch their travel card.” Others are looking for “bragging rights.” And, the article notes that these “itineraries” are in no way “cheating.” The only cheating comes from those spending their hard-earned cash to see things that can be better seen in glossy magazines. These tourists miss most of the more wonderful sights, never taste the cuisine of the city, and fail to experience the city’s life. This is a European Grand Tour with no Eiffel Tower, no Changing of the Guard, no Frari, no Pantheon, no Haufbrauhaus, no music, no Wienerschnitzel, no Apfelstrudel, no linguini, no baguettes, no gelato or Shepherd’s Pie … oh my! Virtual reality can’t come fast enough for some tourists. What are your thoughts about this kind of European Grand Tour tourism? From my point of view, anyone who enjoys this kind of travel would get much more from a good travel film or picture book. They can enjoy the article’s overview of Rome, the tiny slice of Madrid’s Museum Paseo, the Île de La Cité visuals, and the other brief encounters of the worst kind without any jetlag or the jammed seats in coach class across the Atlantic. …we boarded a gondola after arriving at Stazione Santa Lucia, headed for St. Mark’s Square to have coffee with the pigeons. We strolled past the Campanile, peeked into the plush Daniela hotel, and stared for a while at iconic Santa Maria della Salute. We even took time for a tour of St. Mark’s Basilica and also found our way to the Rialto Bridge, where we loaded up on sausage and cheese from the surrounding market for the return trip to Verona. Nothing felt rushed. It was an inspirational day for all of us. …grab a cab (or take the Tube) to Liverpool Street Station and climb onto a No. 11 bus. Sit in the front seat upstairs and watch London roll by like a movie, as you pass the Royal Exchange, Bank of England and St. Paul’s Cathedral; chug along Fleet Street; scoot around Trafalgar Square and down Whitehall to the Houses of Parliament and Westminster Abbey — all the way to Chelsea and along the King’s Road. The trip might take an hour; never do it at rush hour. …the Museo del Prado — loaded with paintings by Velásquez, Goya and El Greco — just up the leafy Paseo del Prado from Atocha Station, where the high-speed trains from France pull in. More modern works are just across the road from the station, at the Reina Sofía and, farther along the Paseo, at the Thyssen-Bornemisza. …Never let the Seine out of your sight. Get yourself to the Île de La Cité, the historic heart of Paris, where you’re officially on the Right Bank but really between Left and Right. You can walk to Notre-Dame; the Conciergerie, where Marie Antoinette was imprisoned; and lose yourself in the Place Dauphine, a secret courtyard halfway across the Pont Neuf that’s easy to miss. Piazza del Campidoglio, home to Rome’s City Hall, puts you at the top of history’s most remarkable junk heap — the glorious if crumbling marble arches and columns of the Roman Forum. From behind City Hall, the Colosseum is clearly in view, and you can survey the Seven Hills (you’re on Capitoline). Michelangelo built on the spot where the Emperors received the chariot-driving legions, back from battle with the good news that they went, they saw, they conquered. Check into the Hotel Sacher… Window-shop down to St. Stephen’s Cathedral along car-free Kärtnerstrasse. Voila! Ecco! Aqui esta! Hier ist! Your European grand tour is complete.